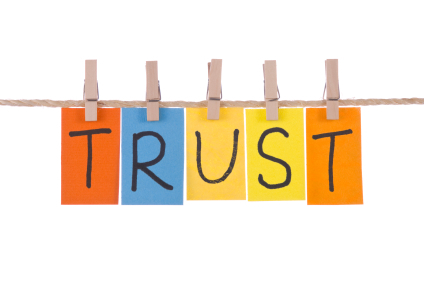 The role of a trusted advisor is honorable. A business leader believes you can help them achieve their goals, overcome their challenges and drive new opportunities. Your advice is so valuable to the business, they choose to invest valuable resources, including time and money, for your guidance, products and services. They trust you can make a difference. In the position of power, an advisor must demonstrate characteristics of greatness. An advisor must garner the trust needed to challenge, collaborate and guide leaders in personal and professional ways. The considerable distinction of being a trusted advisor must be representative of virtues that such power bestows. Benjamin Franklin, one of the Founders of the United States, listed his 13 virtues in a notebook. He referenced the virtues to measure how he lived each day. The virtues included temperance, silence, order, justice and humility. He developed the list of virtues when he was 20 years old and used it in some form, according to his autobiography, for the rest of his long life. Diligent – Be a good steward. Spend other’s resources with care and great due diligence to maximize a positive impact. Value other’s money as if it is your own. Integrity – Be honest and ethical in your role as a confidant. Silence – Listen to learn. Advising others requires you to listen and learn before you conclude and guide. Courage – Challenge ideas, policies, programs and standards with candor, evidence and experience. You need not be right, you need to state your beliefs with conviction. It is your role. Credible – Prove you are worthy of trust. Believe in your ideas and recommendations. Convey your belief with proof. Share – Take part in the business. Be a partner. Contribute by sharing ideas and making valuable connections. Reliable – Be present in real time. Demonstrate your loyalty by being available to help when help is needed. Be on time. Deliver on time. Logical – Solve problems with logic. Business decisions can be emotional. Provide the logical pros and cons to help others make sound decisions. Wisdom – Use your knowledge and judgement to be resourceful. Experience has value. Speak and advise on what you know and when you don’t know, find other resources that do know. Respect – Respect those you advise and respect your position of power. The quality of your work will be demonstrated by your ability to deliver, real and actionable advice. Earn respect by doing. Virtues are often referred to as ethics. Virtues are your moral compass, how you conduct yourself. As a trusted advisor, you have the responsibility to demonstrate the value of your advice. Trust is earned. It is not to be taken for granted. Your word, your actions, your work, your products, your services, all must represent the values you profess. If you are so bold to declare your personal and professional virtues, take the time to measure the impact of your chosen words. Do your virtues help you to better help those paying for your guidance? Deliver what you say you will deliver. Be virtuous and then you will be trusted. A Trusted Advisor. By Jamie Glass, CMO & President of Artful Thinkers and Managing Director of Sales & Marketing Practice at CKS Advisors. This entry was posted in All Business, Capital, Entrepreneurship, Leadership, Marketing, Random Randomness, Sales, The World at Large and tagged advice, adviser, advisor, business owner, characteristics, collaborate, confidant, entrepreneur, ethics, guidance, knowledge, leadership, listening, moral, resources, service provider, trust, trusted, trusted leader, value, virtues, wisdom by Artful Thinkers. Bookmark the permalink.